Zebra Stripes and All the News That Isn’t | Whad'ya Know? The bad news–had to rake up piles of still frozen leaves. The good news–the rake broke. Told ’em Wintersconsin was a lousy tourism idea. The only compensation is that all great art and invention occur at this latitude. Not necessarily here. Gotta do something to stay warm. Don’t know about you, but I could use a climate change. Obamacare reaches its goal of 7 million signups to universal disdain. Barack Dangerfield: can’t get no respect. Russian troops on Ukraine border wearing same outfits for nearly 2 months now–something’s gotta give. McDonalds closes its restaurants in Crimea because they couldn’t keep up with the demand for Russian dressing. Darth Vader will not run for Ukraine president after being deemed a little light in the lightsaber. Supreme Court decides on Powerball limits for campaign contributions. Court’s ruling make the Koch brothers a branch of government. The Supreme Court gets 10% of everything over a million. Well, the majority does. Something is wrong when fat cats can spread the wealth but farmers can’t spread the manure. After allowing voting only when people are working, the Wisconsin legislature tightens the noose with a law allowing poll watchers to look over your shoulder and guide your hand at the polls. Next up in Governor Walker’s voter containment blitzkrieg: making giving someone a ride to the polls a felony. President George W Bush shows his painting of world leaders highlighted by a very buff, blue eyes looking into your soul Vladimir. Great about the kid from Long Island, but probably would happen more often if everyone applied to every Ivy League school. I applied to all 10 (at that time) of the Big Ten schools, and, except for Purdue, had it. Our very own Paulie Ryan’s budget plan calls for Social Security to be replaced with guaranteed McDonalds crew-chief positions for every fairly able-bodied old person. Got to pull themselves up by their own walkers! Knew Letterman wouldn’t last. Will be replaced by Joe Biden. Europeans three-fold advantage in Neanderthal genes serves them well in football. Or, as Cro-Magnons call it, soccer. Facebook’s Mark Zuckerberg gets 3.3 billion return on his one dollar salary. Pretty good, but how does a person with no social skills spend that kind of money? Rand Paul favors immigration reform since his dad comes from Tralfamadore. GM to place Cobalts in a gunny sack and drown them. Researchers say 7 portions of fruit & veggies every 2 or 3 years not enough. For most people. 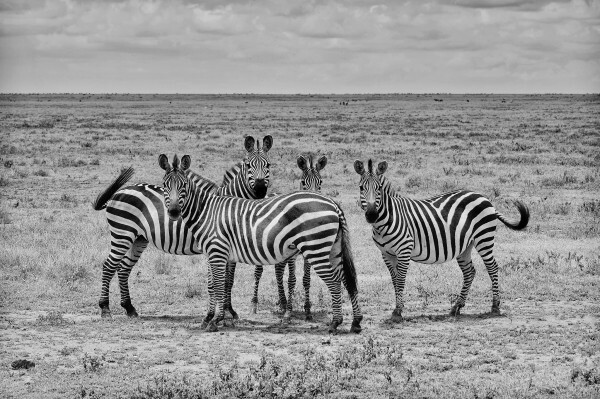 Other researchers find that zebras have vertical stripes in front to make them look taller and horizontal stripes in back to make their butts look smaller. Too much running tied to shorter life span–or maybe you just get to the finish line sooner. Cheerleader who sued her parents gets $56,000 scholarship and, boy, are they nice to her now. Putin’s divorce comes through after he annexes wife Ludmilla’s divorce lawyer. The governors place their bets on the Wisconsin-Kentucky game: Kentucky bourbon versus Wisconsin teacher retirement accounts . . . This entry was posted on April 7, 2014 at 10:06 am and is filed under Uncategorized. You can subscribe via RSS 2.0 feed to this post's comments.